I often say that basketball saved my life. As I got older, though, I realized that it’s not true. Basketball didn’t save my life. It was the people that I met through basketball who did. Basketball didn’t get me off the streets or steer me away from drugs. It saved my life because when I was a freshman in high school, I was a prematurely shy girl who was going to her sixth school in five years, furious at her parents and at the world. At the winter banquet, my coach would joke that I’d barely spoken two words that entire season, and it wasn’t far from the truth. Several times that year I went crazy. Many nights I suffered an inner collapse. I was emotional, angry, hopeless—lost. I was a teenage girl. But out on the basketball court, I maintained some semblance of myself, some sanity and faith. I believed whole-heartedly in the aspirations of my ballet-footed teammates, and, later in my junior year, in a season that crashed and burned, I found in my 23-year-old coach, a soccer player by trade, a woman who understood my deepest fears and my greatest ambitions. 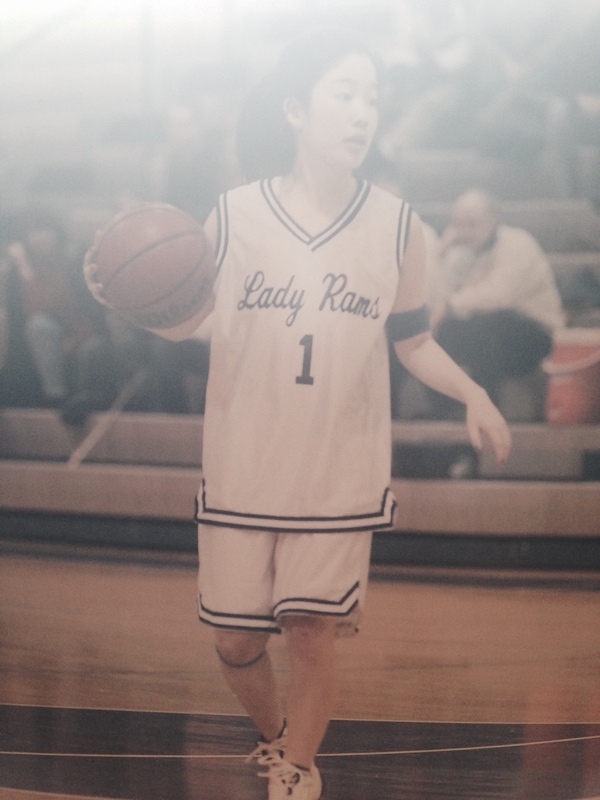 Over and over again that season, the world fell out from underneath my feet, the vision of who I wanted to be as a person and as an athlete shattered each time the ball clunked, dull and nasty, off of the rim. But my coach showed me that no matter what happened out on the court, no matter how many shots I missed or how many games I lost or how I thought I’d failed over and over again, someone out there, somewhere, believed in me. My coach guided me through my journey as I rediscovered myself, and emerge from the program a basketball player beyond my wildest dreams—and a confident woman, a role model and a leader. Like many young women coaches, I have hung up my whistles more than once. In the June of 2013, I gave away everything that I’d ever owned as a coach. But three months later, I watched one of my girls, a high school freshman, dribble the ball off her foot and ask to be taken out. I saw her sink into the last seat on the bench, bury her head in her hands and sob and sob and sob. With seven minutes left in the game and a whole other game to play, she asked her parents to drive her home. “Signing up for the BEA Mentorship Program helped me get out of the stage in my career where I didn’t think I could be the basketball player I always wanted to be. Today, I am only becoming better and getting closer to my goal everyday because of BEA.” – Missy Peterson, Class of 2017. I spent five hours with her that long Saturday evening, the way my coach had once done for me, and I realized just how important we were to aspiring girl athletes everywhere. I don’t think it is a coincidence that the girl worked her way back to make her talented high school varsity team a month later; nor do I think it lucky that another mentee scored her career-high 24 points the day after a former All-American nominee told her to be more selfish on the court. At a time when high school coaches come and go, when AAU yanks and shoves girls here and there, I became dismayed with the way adults don’t seem to be talking to the girls at all. That Saturday night, I could feel the tremor of fear racing through the girl’s blood streams; I could also tell that she was summoning up the courage to fight her way back. That was also the night I knew I had to find a way to be there for her—and all of the girls just like her—even if I could no longer be her coach. I wanted to find a way to bring women athletes back to the court, without their having to commit to a full-time coaching gig, and to educate and empower girls in the way so few of us had when we were growing up. Like most girls, I have played for a lot of coaches, most of whom happened to be men. And while many of those coaches taught me a great deal about the game, by and far the adults who have had the most impact on me as a person, whose lessons I still use every day, were the two women I’d played for. And I count myself among the lucky few. As girls, most of us didn’t have mentors in sports growing up, someone who’d been there, who’d done it, who understood what it meant to be a girl dreaming big dreams in this country, who understood just how guilty it felt to take too many shots, and just how crushingly heartbreaking it is to miss a few—and who, at the end of it all, understood just how powerful it was to believe. Once, I spent my nights, exhausted, trying to fight off sleep, replaying the images of that textbook shot-fake, the dribble back to the three-point line, the cocking of the elbow and the snap of the wrist when I released the basketball toward the hoop. I remembered jogging to the bench, locked under my teammates’ arms, after my three-pointer at 0.07 seconds forced overtime against the long-time Long Island champions, and I remembered the grin on my coach’s face—and how we both knew she didn’t have to say anything more. Get a #ShootLikeAGirl shirt or donate today and help us change lives!! Previous postMentorship Program: January Recap!